The other day an eminent art critic was heard saying that it was the art critics and the media who decided the worth of an artistic piece. A mediocre piece of art could be elevated to the lofty status of a contemporary classic if they wrote about it, and celebrated it. Conversely, a piece which failed to reach within the gaze of the critic-media nexus would fall in the limbo of public forgetfulness. Indeed these words were simply disquieting. The art critic who said this was in fact was trying to expose a negative trend growing in the world of art. His words amounted to saying that art evaluation and art promotion based on purely aesthetic merits had become a thing of past. Let us examine the impact this trend will have on our culture. From now on ‘Public or Perish’ is the only guiding principle an aspiring artist should follow if she wants to earn any recognition or build up a career in art. The corollary to this is that she is justified in resorting to ANY means to get her works published, for the publicity gained will take care of the all the ethical issues that may erupt. Achieve media backing, stage manage critics’ favorable commends, invest some money in advertisement, hold press conferences with cocktail parties, and a mediocre artist’s name enters into the hall of fame. On the other hand, an artist who is deficient in the abilities of doing public relations exercises becomes not just a loser but a non-entity. She doesn’t exist if the spotlight of the media doesn’t illuminate her. This is highly disappointing for a true artist. But much beyond the individual disappointment the situation has an implication upon the tradition and history of art itself. Imagine a few mediocre artists who are darlings of the media-critic nexus capture the public spheres for years together. A generation of art lovers who live in the same age will never get a chance to know the artists and the artistic pieces blacked out by the media and the critics. These art lovers take what are given to them. As years pass by, the art lovers (and the general public) will hand over the art they know to the next generation. In this process an art tradition is created which is both manufactured and anti-people. Perturbed by the possibility of a concocted tradition and a manufactured history dominating the world of art I ruminated on how this could be challenged through a social action. In fact my thoughts couldn’t show me any path breaking methods. Even the so called ‘Rebel’, ‘Parallel’, or ‘People-based’ movements could easily taken over by the media-critic-buyer nexus. Without the blessings of the rich and powerful decision makers who can survive in the world of art? My thoughts were going through an endless dark tunnel. One day, when I scanned my pen drive to see what it contained I chanced to see an old photograph of mine which I thought had lost forever. This accidental discovery led me to hit upon a technological solution to the problem that bogged me. Thousands of images could be safely preserved in my pen drive. An external hard disc of one terra-bite capacity can hold millions of them. Now, if a Governmental agency, or a reputed art institution like the Fine arts faculty of M.S.University, Baroda can take up the job of collecting and preserving excellent images of art work of all artists in India and display them in a free website it will be the beginning of a new democratic revolution in the sphere of art. The possibilities are mind boggling. To begin with, every artist will find a space in it, and no one will be left out. In fact every Indian citizen can obtain a space in it. This web site can be designed in such a way that it will allow a virtual tour through the works of art in it. It will be the biggest art walk of human history, much bigger than a walk through all the museums of Europe! The size and grandeur apart, what is culturally positive about it is that it will be a true representation of Indian art. No one will be left out. And, more importantly, no will be given undue importance too. For the first time in the history of the contemporary Indian art the art lovers are being empowered to see what is hitherto blacked out. They can see new pieces of art, new artists, and also art-movements unseen so far. Is such an all inclusive approach possible? Technologically, yes. The expenditure involved in designing and maintaining such a web site will be within the financial strength of a University. What is really challenging is collecting high quality photographic images of such a large corpus of artistic pieces which exists not only in towns and cities but also in remote villages of far flung landscape of India. The challenge is huge, but not insurmountable. Getting the assistance of Gram Panchayts is the surest way to achieve the goal. Getting the photograph of an unknown artist from Tawang and Nicobar islands is a nearly impossible if you look at the problem sitting in Baroda. But it is no big thing for the Gram Panchayts of these places. If an agency appointed by the Government of India could prepare ‘Aadhar Cards’ of every Indian Citizen of India in 3 to 4 years creation of a digital archive of contemporary Indian art should be within the limits of practical possibility. Ensuring the participation of the people anything is possible. I am thrilled at the possibility of rendering digital eternity to the entire Indian art from now onwards. 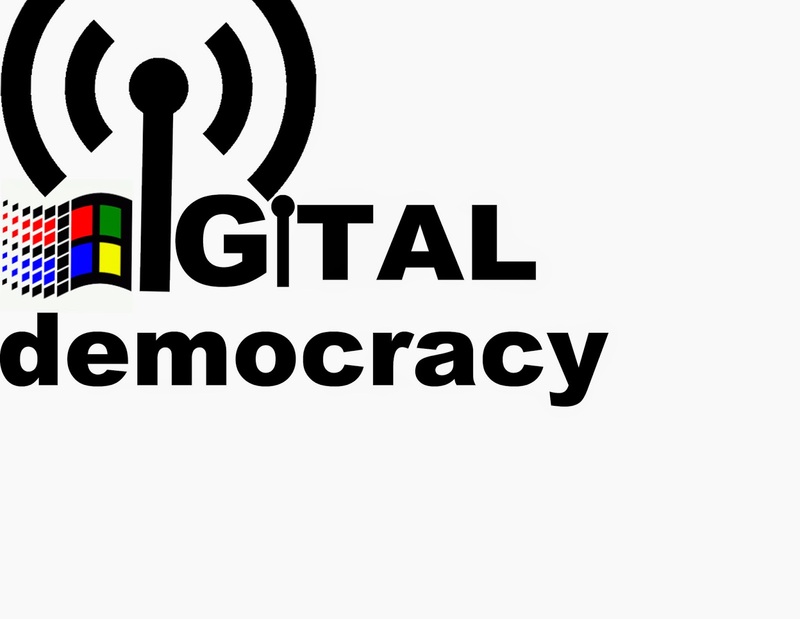 I am excited about the dawn of digital democracy in the sphere of art. The revolution will dethrone many, and unsettle many established notions and beliefs not only about Indian art but our country itself.